In this article, I am giving solutions to all questions of ICSE Board's latest March 2018 Biology question paper. These solutions will give the students to know the pattern of answering as well as to prepare themselves for their upcoming Board's exams. Students can get benefited by revising these questions which will help them to improve their skills in answering questions. Name the following:-(Write answers only and there is no need to write the questions. Don't give two answers for the question and if you write two different answers (one correct and one wrong) you will loose your mark for the question). Normal pale yellow colour of the urine is due to the presence of the pigment Urochrome. 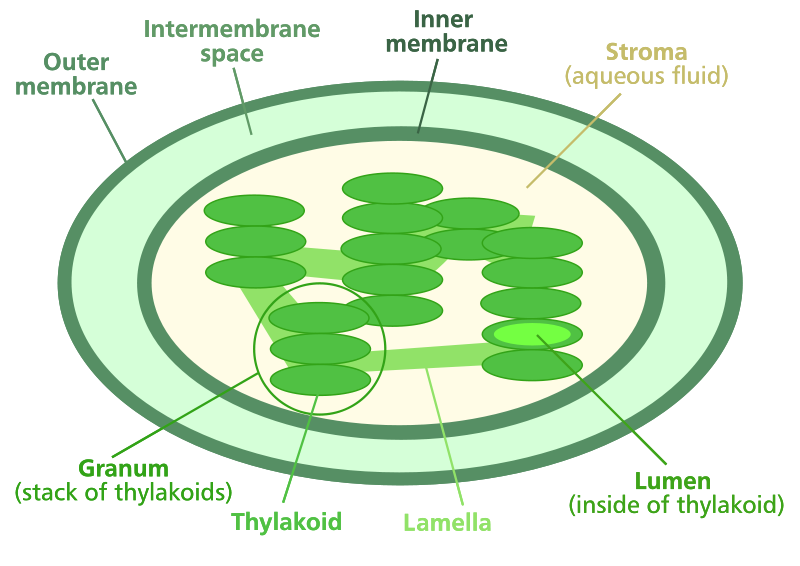 Phloem transports starch from the leaves to all parts of the plant body. Breathing of polluted air puts at a risk of getting Asthma and respiratory diseases. Industries and factories should be established far away from residential areas/Use of CNG gas for automobiles reduce Air Pollution. It is an Animal Cell. 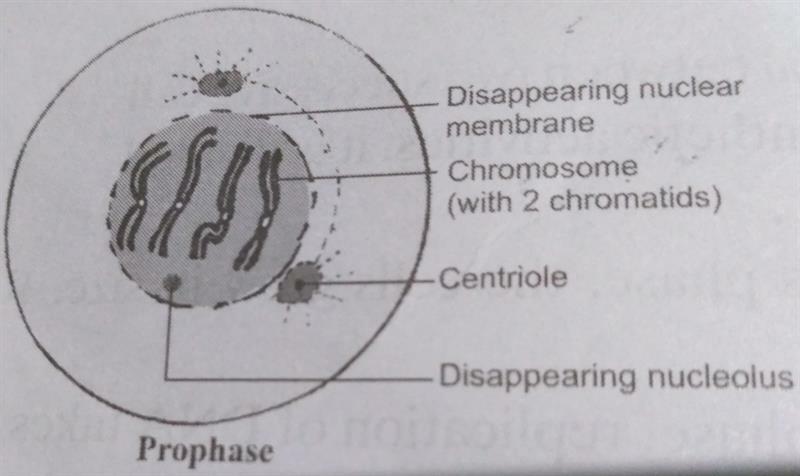 The stage depicted in the figure is Metaphase. The unique feature observed in this stage is all the chromosomes are arranged on the equatorial plane of the cell. The centromers of all the chromosomes are exactly lie median line of the cell. Epididymis:- A small tubular knot present at the top pole of a testis. Lacrimal gland:-An Almond shaped exocrine gland present upper lateral region of the orbit or upper posterior aspect of the eye. Malleus:-It is an ear ossicle present in the middle ear and is attached to the inner surface of tympanum. Hydathodes:-Pore bearing structures present at the margin of certain leaves. Fertilization occurs in Oviduct/Fallopian Tube of human female reproductive system. Implantation is the fixation of fertilized egg to the endometrium of uterine wall. The chromosomal number of the egg is 23 and that of Zygote is 46. The complete development of the embryo from the time of conception till the time of delivery in the uterus of a female is known as Gestation. Human gestation period is 280 days. The aspect studied in the above experimental setup is Chlorophyll is necessary for Photosynthesis. To ensure that there is no starch in the experimental leaf as it is consumed by the plant during destarching. During starch test when Iodine drops placed over green part of the variegated leaf will turn into blue-black colour. It indicates chlorophyll is necessary to prepare starch during photosynthesis. In yellow part of variegated leaf when iodine drops are placed will turn into brown colour indicating no photosynthesis due to lack of chlorophyll. The example for Variegated plants is Croton or Coleus plant. The phenomenon depicted in the diagram is 'Reflex action'. The sudden automatic, stereoscopic involuntary response to a stimulus is known as 'Reflex action'. The technical term used for the point of contact between two nerve cells is 'Synapse'. The axons of Nerve cells are situated on the outer region (white matter) of Spinal cord while Cell bodies of Nerve cells are located on the inner region (Gray matter) of Spinal Cord. But in Brain this arrangement of Nerve cells get reversed in the outer and inner regions. 1. The Spinal Cord on its outer surface is covered by three protective meningeal layers- Duramater, Arachnoid and Piamater. The spaces between the meningeal layers are filled with Cerebro Spinal Fluid which protect the Spinal Cord from sudden mechanical shocks and jerks. 2. The Spinal cord on its outer surface is protected by a back bone made with 33 small pieces of bones called 'vertebrae'. Glomerular filtrate. Glucose and water are the two substances which are reabsorbed by the tubule. Urine. The main nitrogenous waste present in it is 'Urea'. In leaf glucose is stored as Starch while in liver glucose is stored as glycogen. Testosterone is secreted by Testis and Oestrogen is secreted by Ovaries. Ureter carries urine from kidney to urinary bladder while urethra sends away urine from urinary bladder to outside. Plant cell become Turgid when placed in hypotonic solution and Flaccid when placed in hypertonic solution. Two structural differences between '1' and '2' are:- 1. RBC lacks nucleus and WBC possess nucleus and 2. RBC is biconcave disc shaped while WBC is amoeboid shaped. Soluble protein present in plasma is 'Fibrinogen'. The average life span of RBC is 120 days. RBC cells have no mitochondria and so they cannot use the oxygen for themselves but which help them to carry oxygen to all the cells and tissues of our body. Lack of nucleus enables the RBC cells to accommodate more haemoglobin pigment to transport respiratory gases. Lack of endoplasmic reticulum in RBC cells to become more flexible to move through the narrow lumen of blood vessels. Population education brings about an awareness among people regarding the advantages of small families and disadvantage of large family. It will help them to follow various family planning programs in order to limit the size of the family. Placenta is the organic connection between the mother's uterine wall and that of the foetus. Through the placenta only the required nutrients and oxygen are supplied to the baby. Similarly the metabolic wastes and Carbon di-oxide from foetus are diffused into mother's blood through placenta only. As plants include a green pigment chlorophyll they can prepare their own food and also produce oxygen through Photosynthesis. So they are Primary producers and all other organisms are consumers. . Hence green plants not only feed themselves but also provide food and oxygen to all other living beings in food chains and food webs. Fertilizers along with soil water acts as hypertonic solution near the roots of the plant. So exosmosis takes place as cell sap of roots is of lower concentration. Water moves out of the root cells and thus plants start wilting. Inside the ear after auditory canal a delicate membranous tympanum or ear drum is present. If a sharp placed inside ear may damage ear drum which impairs our hearing completely. The Physiological Process depicted in the diagram is 'Transpiration'. Oil is added to water to prevent the evaporation of water from the surface of the flask. After 4 hours after the experiment there will be a decrease in the weight of the set up used for the experiment due to transpiration process of the plant. 1) If the set up is placed in Humid condition, there is no change in the level of water. 2) If the set up is kept in windy conditions the level of water in the set up decrease because of more transpiration. Three conditions which reduce transpiration are presence of thick cuticle over the leaves, leaves become narrow, presence of sunken stomata. Guttation is the loss of water in the form of water droplets from the margins of certain plant leaves through hydathodes. All the plants of F1 generation are Pea plants with Green and Inflated Pods phenotypically. Genotypically all the pea plants are mixed Green and Inflated Pods. The genotypic constitution of F1 generation plants are (GgIi). To produce F1 generation Cross pollination occurred. Mendel Law of segregation or Mendel Law of purity of gametes:- Every character is influenced by a pair factors. During gamete formation these two factors get separated and move into two different gametes without blending or mixing.